A division bench of the Supreme Court of India comprising of Justice R.F. Nariman and Justice Navin Sinha, in a surprising move, on 14th May 2018 acquitted those who were convicted by the Appellate Tribunal in relation to what is referred to as the “Satyam Scam“. 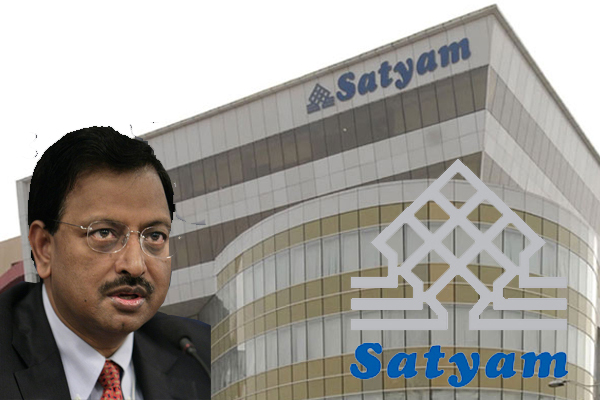 The infamous multi-crore Satyam Scam, was one amongst the biggest in the past decade amounting to a whopping Rs. 7136 crore, that called for better government regulations among the corporate world had, in essence, proved to be a shock for the Indian market and especially for the firm’s share holders. The appellant was an executive director of the “Satyam Computer Services Limited” or SCSL from 1993 to 2000 and its non-executive director from 2000 to 2003 and the co- brother of one of the former chairman of the firm. The appellant was, in this meantime, required to operate a joint venture company of SCSL and held 20% shares in it. On 7.1.2009, B. Ramalinga Raju, the former Chairman of Satyam Computer Services Limited sent a letter to various stock exchanges and the SEBI stating that the financial statements of SCSL had been grossly overstated and did not reflect the true and fair view of the financial position of SCSL. It was stated that as the appellant was a promoter and director of SCSL, he was liable as an “insider”, having knowledge of UPSI or Unpublished Price Sensitive Information. UPSI generally includes unpublished information related to mergers, de-mergers, acquisitions, dividends etc. The “SEBI (Prohibition of Insider Trading) Regulations, 2015″ prohibit Insider Trading. An ‘insider’ means any connected person or a person in possession of or having access to UPSI in respect of the securities of a company which he or she is legally bound not to trade that is not to communicate, provide, or allow access to any other person than the insiders. 71% of the shares of SCSL were sold in 2003 and in the Serious Fraud Investigation Office or SFIO stated that the fact that the appellant was not mentioned in the charge sheet filed by the CBI would make no difference as the appellant being an “insider” had sold shares of SCSL when in possession of UPSI and made profits in violation of the 1992 Regulations against insider trading that were operative at that time. The 2015 definition of “insider” is narrow as compared to the 1992 one as the latter requires a second condition to be fulfilled and that is the connected person should be “reasonably expected” to have access to UPSI. The Supreme Court held the Lower Appellate Tribunal decision to give effect only to the first part as unsustainable in law. The court also held the contrasting of the expression “on the basis of” with the expression “when in possession of” as correct by the minority judgement. The Court, thus, relied upon and appreciated the minority judgement of the Lower Appellate Tribunal and considered the appellant apart from the other members of his extended family.The Court also set aside the charges against the sons and the mother of B Ramalinga Raju (co-brother of the appellant). However, the promoters Ramalinga Raju and Rama Raju have been allegedly in possession of the UPSI and thus shall be investigated further. This piece is penned by Gunjeet Singh Bagga.